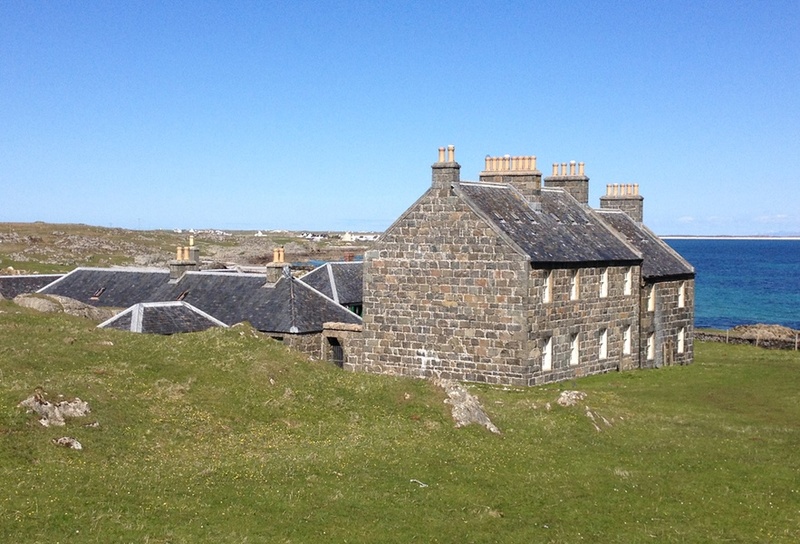 The buildings at Hynish were started in 1837 and comprised a dock, workshops and lodgings for those involved in the building of the Skerryvore Lighthouse. Over 80 stonemasons worked here precisely shaping over 4,300 blocks used in the building of the lighthouse. In 1842 the Skerryvore Lighthouse was completed and in the following year the Hynish pier was extended to allow the lighthouse vessel to berth. The dock has a tendency to fill up with sand and an ingenious flushing system designed by Stevenson using water from a reservoir up the hill and wooden gates, was used to try to keep it open. The lighthouse keepers had their quarters in the Upper Square and were provided with walled gardens to grow their own produce. 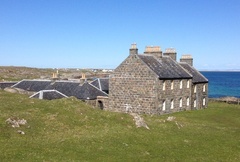 In 1982 the Hebridean Trust began restoring the buildings. Alan Stevenson House was originally built as store rooms, and has been restored and given a new purpose by The Hebridean Trust, founded in 1982 to preserve the unique Hebridean way of life. One of the other listed buildings in Hynish is home to The Story of Skerryvore Lighthouse exhibition. This exhibition records the fascinating account of the hazardous Skerryvore reef, 10 nautical miles to the south west of the Isle of Tiree, and the design and construction of the tallest lighthouse in Scotland by Alan Stevenson, uncle of Robert Louis Stevenson. It features unique examples of industrial archaeology, a scale model of the lighthouse and interpretation material of general and educational interest. Visitors to Hynish can also enjoy the Treshnish Isles natural history exhibition. 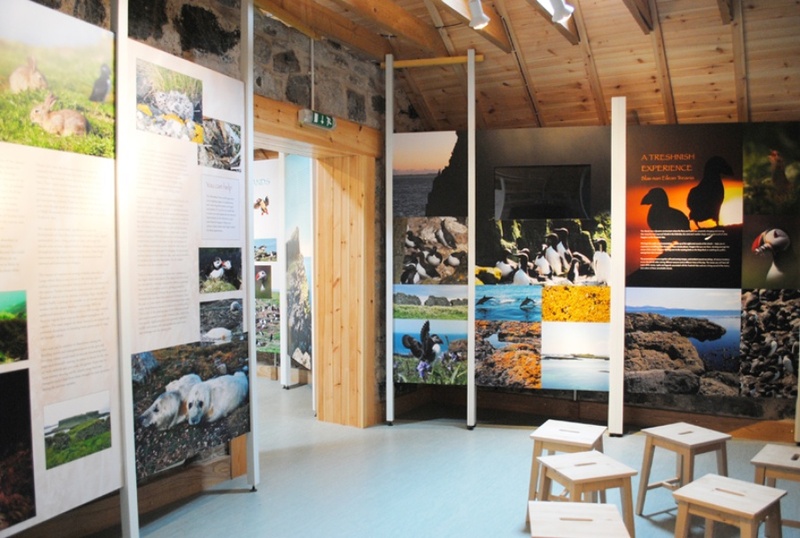 This exhibition offers visitors the opportunity to learn about the enchanted Treshnish Isles, which are visible from the Isle of Tiree and are owned and managed by the Hebridean Trust. Enjoying the Treshnish Isles whilst on Tiree helps to conserve a highly sensitive environment and to protect the seabird colonies, including puffins, razorbills, guillemots and petrels, that rely on the Treshnish Isles as an annual breeding ground. 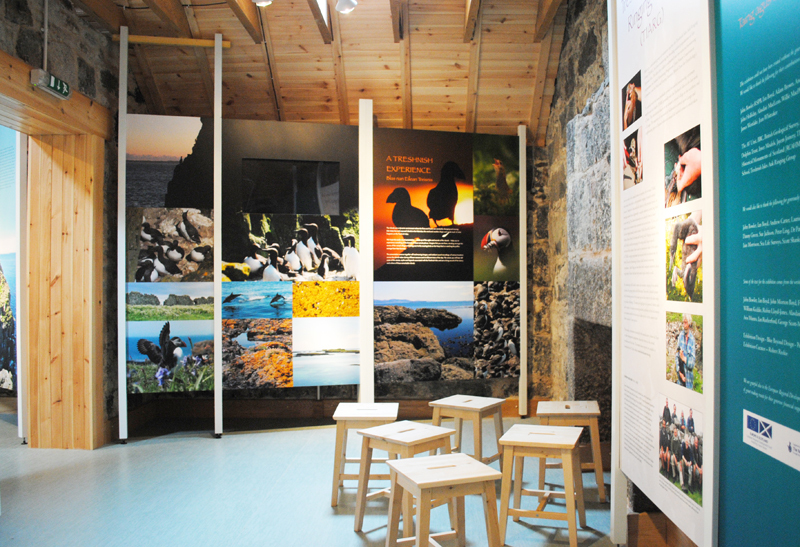 Visitors can experience the natural history of the Treshnish Isles through stunning displays, a scale model of the islands and audio visual material.